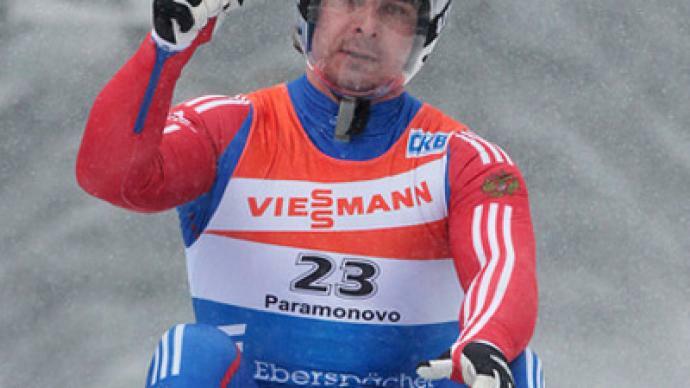 Home favorite Albert Demchenko has cruised to victory at the first ever Luge World Cup stage organized in Russia. ­ussia's only track for bobsled, luge and skeleton was built three years ago in Paramonovo, 60 kilometers outside Moscow. And the venue has finally debuted at the highest level by hosting a stage of the Luge World Cup. “The track for the World Cup stage has been prepared perfectly. Everyone is very pleased with it and they say it has become even better. It has changed a lot, some parts were rebuilt and it's not the same track it was last year,” Evgeny Voskresensky, a Russian luger, said. Meanwhile, in the men's singles, the best Russian luger Albert Demchenko delighted his fans, winning the inaugural World Cup event on home ground. The 39-year-old Olympic silver medalist added stage victory Number 14 to his trophy cabinet. “Psychologically it was very hard because of the burden of expectation. I'm very glad I won in front of the home fans. It's great that I managed to beat the German athletes on my home track. Today it was getting colder and colder, and it was snowing, so the track wasn't very fast,” he said. The six-time Winter Olympian left behind the two German lugers, Felix Loch and Andi Langenhan, by clocking the fastest time on the track and setting a new record. “All the athletes say the track is unusual and very challenging. I hope next year the European Championship will be held here. This world cup leg was a testing run for many lugers. They got to know the track, so by next year they will be fully equipped and ready to compete,” Albert Demchenko added. Armin Zoeggeler of Italy, currently on top of the overall rankings, had to settle for fifth place. The overall World Cup winner will be decided at the last stage, in Latvia, next weekend.